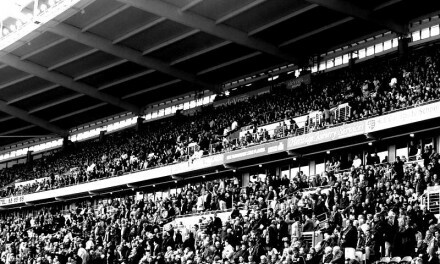 One of the more common complaints that can be found of modern football is that, even for the match-attending supporter, the whole experience can feel a little soulless at times. Dozens of clubs have moved into new grounds over the last quarter of a century or so, and many of these seem to be situated on out of town estates, where the only nearby bar is a branch of TGI Friday’s and all around you is tarmac, steel and plate glass. 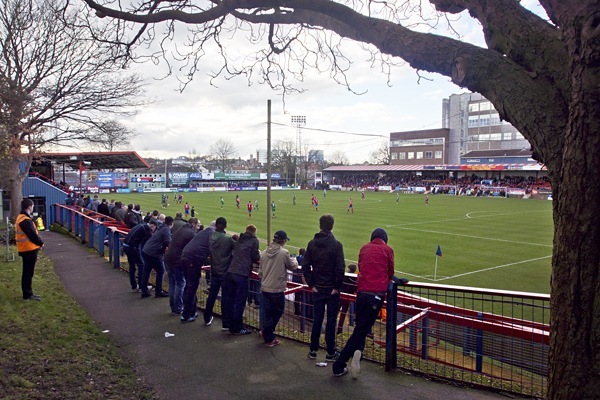 Clubs at all levels of the game have tended to move into new grounds that lean towards this homogeneity, but the non-league game offers a break from this and we’ve pulled out ten clubs from all over the country – all of whom are at home this weekend – who offer surroundings that are unique in their own ways. Newcastle Town – Don’t be fooled by the name. 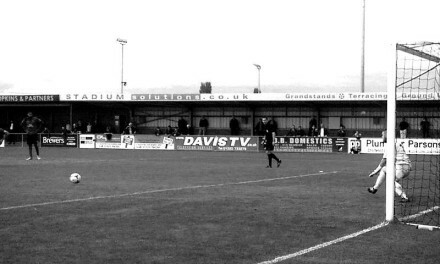 Newcastle Town, of the Northern Premier League First Division South, play their home matches in Newcastle-under-Lyme, Staffordshire rather than in the shadows of St James Park. The club’s Lyme Valley Parkway Stadium is most notable for having a pitch that is surrounded by a velodrome, so if the match gets a little stale and you happen to have turned up there on your Raleigh Chopper, you can keep yourself amused for ninety minutes by doing laps of the pitch and trying to beat your personal best time. Probably. Newcastle Town are home against Kidsgrove Athletic in a Northern Premier League match on Saturday afternoon which kicks off at 3pm. Further details are available here. 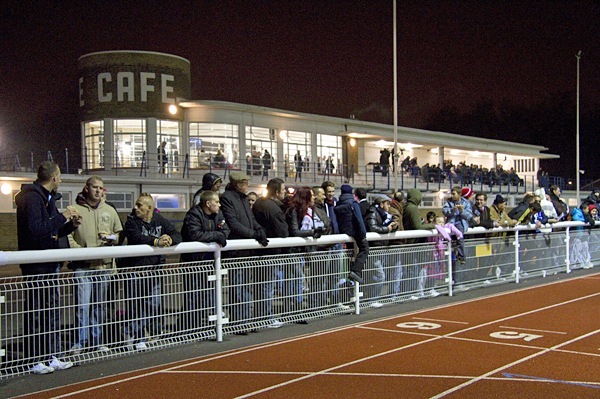 Enfield Town – Whilst having to admit my small bias here, Enfield Town’s QE2 Stadium – as often as not known as “The Donkeydome” on account of it being situated on a road called Donkey Lane – is more than worth at least one afternoon of your life, should you happen to be in North London. It only opened in 2011, but the redevelopment of the ground included a loving restoration of a quite beautiful art deco main stand. Enfield Town are at home against Hitchin Town in an FA Cup match on Saturday afternoon which kicks off at 3pm. Further details are available here. Stourbridge – The histories of cricket and football are more closely intertwined than we might guess. 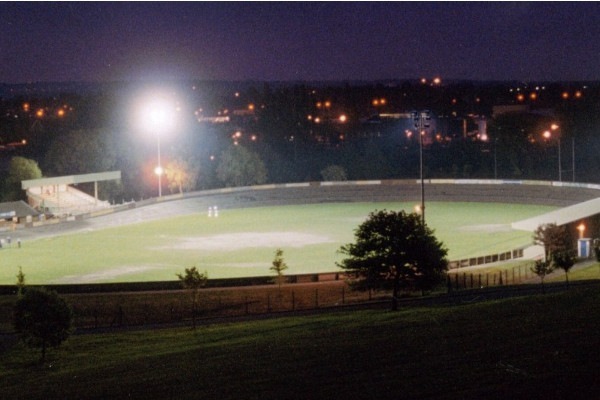 Early FA Cup finals were played at The Kennington Oval, and two Football League clubs, Sheffield United and Northampton Town, played at three sided grounds which doubled up as cricket pitches until 1973 and 1993 respectively. 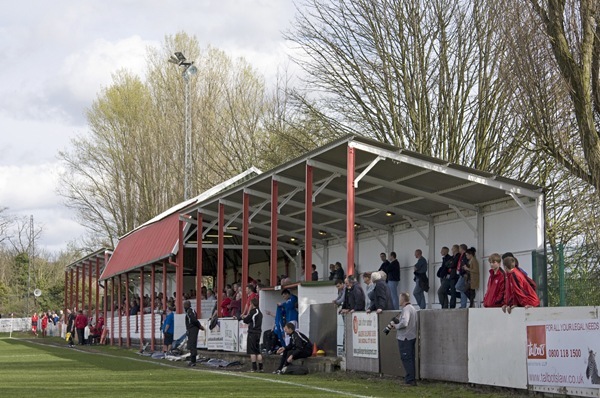 These quirks have been ironed out of the Football League, but Stourbridge FC of the Northern Premier League still share the War Memorial Athletic Ground with Stourbridge Cricket Club. The ground held sixty-one County Championship matches for Worcestershire CCC between 1905 and 1981. Stourbridge host Rushall Olympic in the FA Cup on Saturday, kicking off at 3pm. Further details are available here. 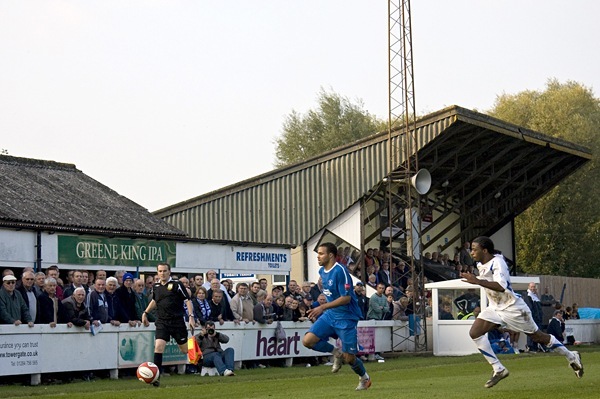 Bury Town – One of the oldest clubs in the East of England, Bury Town ply their trade in the picturesque market town of Bury St Edmunds in Suffolk. 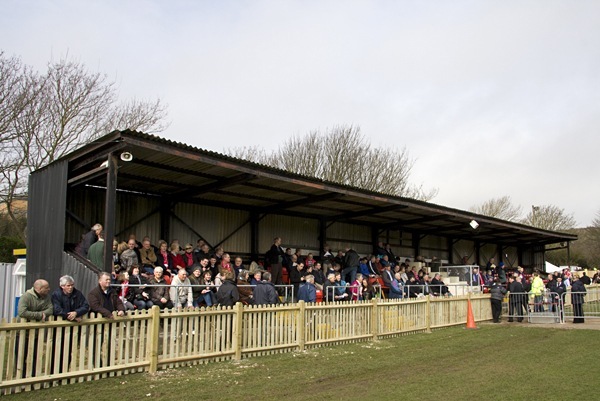 Their Ram Meadow ground is an unusual place, with timber seating and terracing, and offering pleasing views of St Edmundsbury Cathedral and, in a scene curiously reminiscent of Charlie and The Chocolate Factory, the British Sugar refinery from whence you get your Silver Spoon sugar. Bury Town are at home against Great Wakering Rovers in the Ryman League Division One North on Saturday, kicking off at 3pm. Further details are available here. 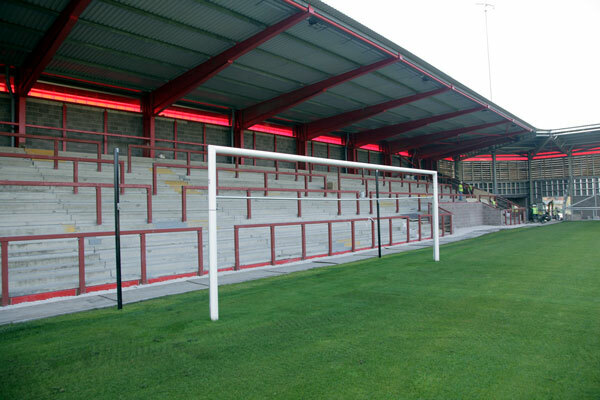 FC United of Manchester – The newest ground on this list, Broadhurst Park opened at the end of May this year. It’s construction was funded through a mixture of grants, a community share offer and fundraising by supporters. Following promotion into the National League North at the end of last season, attendances have remained buoyant this season at around the three and a half thousand mark, even though the team sits just below midway in the current league table. FC United of Manchester are at home against Buxton in the FA Cup on Sunday afternoon, kicking off at 3pm. Further details are available here. Aldershot Town – Younger readers looking to get a feel for how football used to be experienced could do considerably worse than pay a visit to The Recreation Ground, the home of National League club Aldershot Town, which still features traditional floodlight pylons and a barrel-roofed home end terrace. With the roofs bedecked with red and blue striped paint and situated in a public park, there are few more idiosyncratic venues in the whole of the South of England. Aldershot Town are at home in the National League against Altrincham on Saturday afternoon, kicking off at 3pm. Further details are available here. 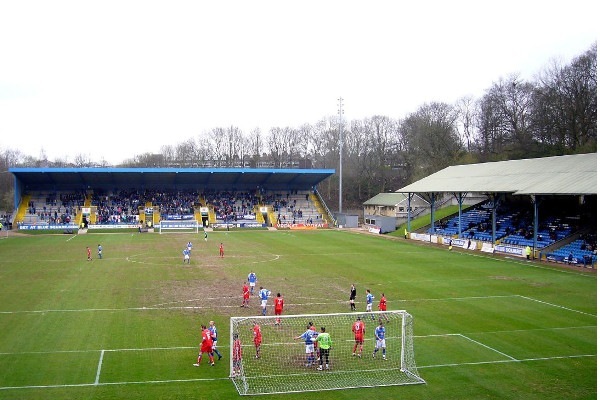 FC Halifax Town – There was a time when The Shay was frequently acknowledged as one of the most basic grounds in the Football League. How times have changed. Halifax Town folded in 2008 and the new club now plies its trade in the National League, whilst The Shay was substantially renovated during the 1990s. The large covered terraces behind each goal may leave those used to all-seater grounds pining for days gone by. FC Halifax Town are at home against Woking in the National League on Saturday afternoon, kicking off at 3pm. Further details are available here. Whitehawk – Whitehawk’s rapid ascent from the Sussex County League to the National League South has left The Enclosed Ground with a somewhat unusual look. Set on the easternmost outskirts of Brighton and offering a seaview – just – and spectacular views of the South Downs, it features seating from The Withdean Stadium – the former home of Brighton and Hove Albion – behind each goal. With a small wooden stand along one side that is a throwback to those county league days and a well appointed bar it’s certainly a unique place to watch a game of football. 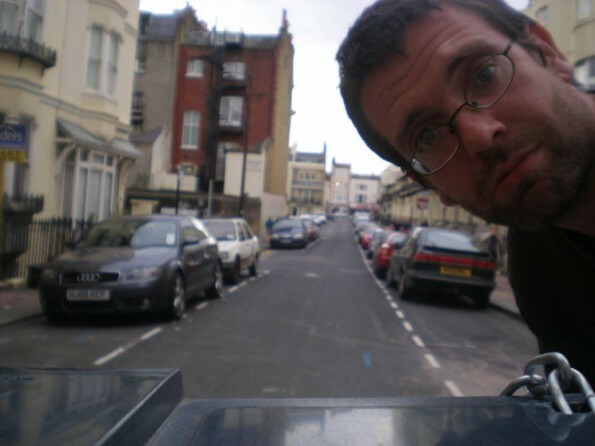 Here’s a word of warning, though – the ground is only accessible via a convoluted route down a winding road, making it a little further away to get to than it actually looks at first. Whitehawk are at home against Gosport Borough on Saturday afternoon in the FA Cup, kicking off at 3pm. Further details are available here. Whitley Bay – Whitley Bay, of the Northern League Division One, hold one small record in English football – they’ve won the FA Vase more than any other club. Four times, all in the nine years between 2002 and 2011. 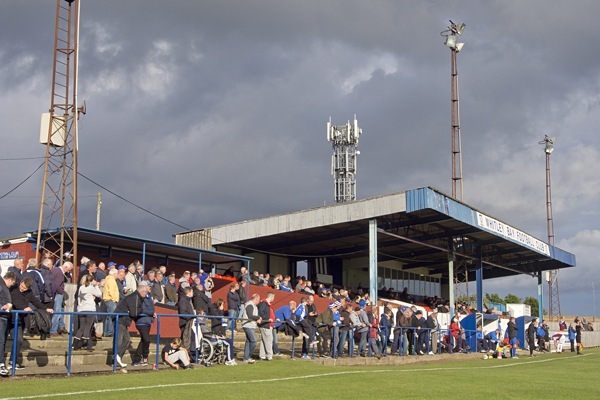 The club has been going through rather more fallow times of late, but their Hillheads Park ground, lovingly decked out in blue and white, remains a prime example of the quintessential English non-league football ground. Whitley Bay are at home on Saturday in the FA Cup against Chorley, kicking off at 3pm. Further details are available here. Aberdare Town – It’s a complicated story of mergers, de-mergers and name changes, but the short version of it all is that Aberdare Town spent six seasons in the Football League during the 1920s before being voted out in 1927. 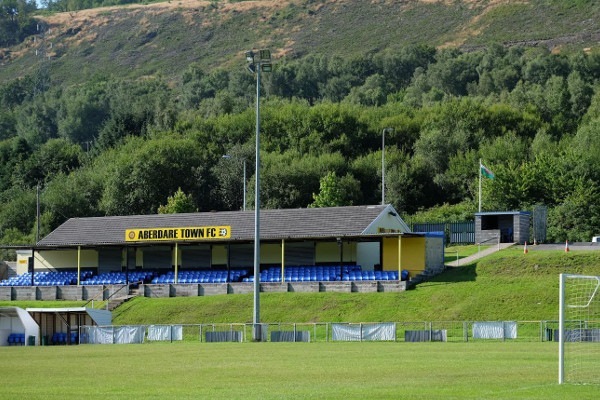 The current incarnation of the club plays in Division One of the Welsh Football League at Aberamen Park, a ground built into a hillside in the outstanding countryside of South Wales. Aberdare Town are at home in the Welsh Football League against Cardiff Met University, kicking off at 2.30pm. Further details are available here. The photographs from Bury, Enfield, Whitehawk, Whitley Bay, Aldershot and Stourbridge are copyrighted by David Bauckham/Centre Circle Publishing. We’d like to thank him for allowing us to use them. Other photos are copyright fcunited.ru, Aberdare Town FC and Wikimedia. PreviousFIFA – Time To Suspend Disbelief?